5pcs PMMA Glass Mouthpiece for Joyetech eGo One, is the specially designed mouthpiece for Joyetech eGo One e-cigarettes. Get it to replace the old one you have with best price! 5pcs PMMA Glass Mouthpiece for Joyetech eGo One is the specially designed mouthpiece for Joyetech eGo One e-cigarettes. Get it to replace the old one you have with best price! • It can only work with Joyetech eGo One atomizers. The PMMA Glass mouthpieces are so much better than the plastic! This site is the best for all my e-cig products. They get orders to me fast and in perfect condition! The PMMA Glass mouthpieces are the best! Plastic ones fall out once they get hot. I love the PMMA Glass mouthpieces!! The plastic ones get too hot and start to melt/fall out. And such a great price too! There was a problem with lifting the fluid over the system to the mouthpiece. Solved (in the comments above).Original. Fast shipping. Will order again. 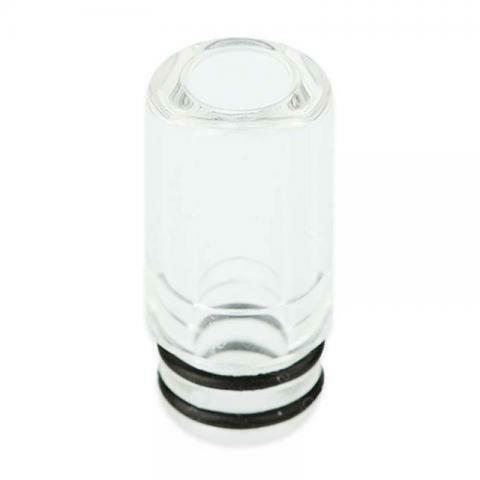 5pcs Joyetech eGo One Mouthpieces –is a drip tip with a PMMA Glass mouthpiece. It is compatible with a Joytech eGo. There are 5 pieces per pack. original product. packing very good. fast shipping. i would recommend. THANK'S SELLER.